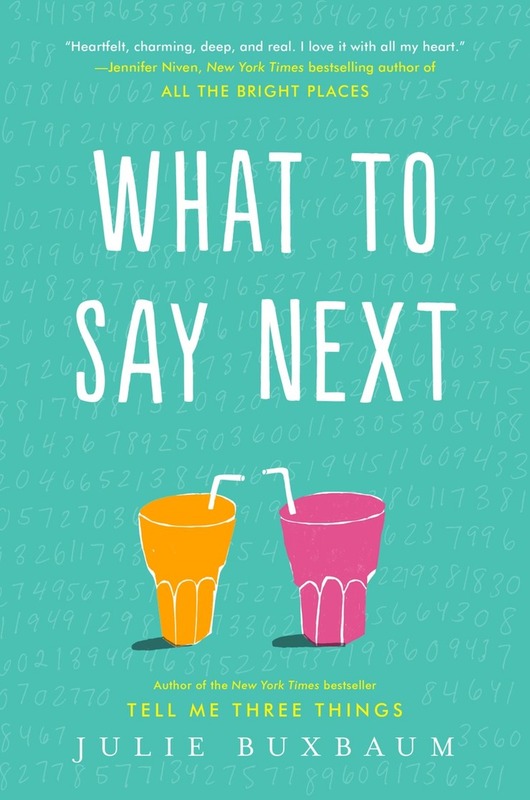 Last year I was thrilled to find that everything everyone was saying about Julie Buxbaum and her debut YA novel Tell Me Three Things was true, so when I heard about her next novel I was more than excited to see if that trend continued. I'm thrilled to say that, at least in my mind, it most certainly did. There's something about Buxbaum's writing that, despite never having been in the position of any of her characters (thank goodness), she's able to make it so I feel like I have been there, that I'm actually there right along with them. Her books do exactly what a good contemporary novel should, and allow you to connect with the main characters; to feel what they're feeling and to root for them despite any flaws they might have. It also doesn't hurt that they're pretty darn adorable. Seeing as contemporary novels are all about the characters I don't think it's a surprise that they were my favorite part of this book. First off it was told in dual POV, which is something I love. Getting the chance to see through both main characters eyes, especially when there's something romantic that might come to pass between them, makes the story feel more real to me. I know that in real life you can't see through anyone else's eyes but your own so in a book I think it's cool to see both sides of something like that. Both POVs in this book were something I enjoyed, although each for different reasons. Kit was a fascinating character because of what she was going through and how it changed her. Watching her transform from the start of the book to the end was such a treat, and I can honestly say that there were moments when I not only felt her grief and confusion, but I felt as though I was changing right along with her. And David. Sweet David. I think I liked watching him change even more than Kit. He was such a fascinating character, and from the first chapter of his that I read I knew he was going to be someone special. David is on the autism spectrum, something that is near and dear to my heart because my own brother is too, so this was obviously the other thing I really loved about this novel. I can't tell you how excited I was to learn that there was going to be a YA book with a POV character on the autism spectrum who was also going to be a love interest. I don't think I've even heard of another book like that. I was a little worried about how it was going to play out though, if it was going to feel real. In the end, while there were a few small elements that I wasn't 100% thrilled with, I thought it appeared to be a really great look at what it means to be on the spectrum based on my own observations of the experience. 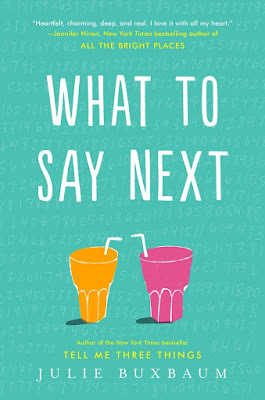 Buxbaum clearly did her research, and the result is something that I think is really important to include not only in YA literature but in literature for all age ranges. I"m sorry if this review feels a little messy, there are things I want to say about this book that I can't seem to find the words for, but overall what I really want to say is that I was very happy with this book. The characters were great, the representation was fantastic (not only was David on the spectrum but Kit was biracial), and the heart of the book was real. It seems to have a slightly heavier feel to it than what I remember of Tell Me Three Things, but it still had that small element of mystery and the last page still left a smile on my face. I can confidently say that thanks to this novel Buxbaum is on my list of authors to automatically read, and for one reason or another, I think it's a book everyone should at least attempt. It won't be for everyone, I can tell you that right now because I'm sure some people won't care for David's voice, but if that doesn't bother you I guarantee you're in for something really great.